"Choose a Category to Begin Checkout." purchased a Pumpkin and you just want the Pumpkin Decal to apply yourself. Pumpkin Decals are fun for all ages. 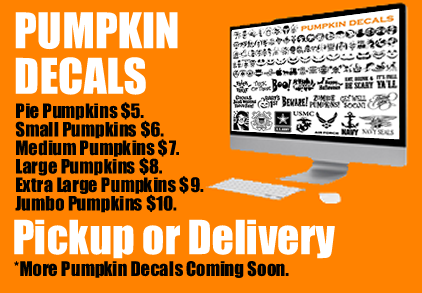 Enjoy your Pumpkin Decals for many months.